Island guests or day visitors to Lanai have exciting new activity options when planning their itineraries in paradise. 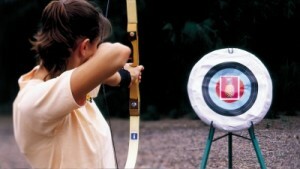 Far from the gorgeous beaches of Hulopoe Bay, boasting spinner dolphins and beautiful views, adventurers can head upland to the inland forests to take aim at Lanai Archery and Shooting Range, offering a series of customised lessons for beginners or excursions for more experienced in clay shooting and archery. The 14-station sporting clays course in the gorgeous wooded uplands of the island of Lanai challenges shooters of all skill levels regardless of age, size or experience level. Targets are launched to simulate flight patterns of duck, quail, dove, pheasant and even rabbit running patters. Experienced shooters will enjoy the diverse angles and target directions offered with six high towers. Book an introductory lesson covering gun safety and awareness, course rules and shooting etiquette, instruction and with the necessary gear to get on course in no time. First-time shooters will be fitted with a shotgun base on weight and size to minimise recoil. Participants use over/under guns by the heritage brand Beretta, considered by many today’s top choice for competition equipment. Additional experiences are available for more experienced shooters. At the eight-station archery course, set sight on 3D animal targets such as turkey, deer, T-rex, ram or boars or take aim at traditional archery targets, from 5 to 25 yards away. Anyone who can safely handle a bow, regardless of age and experience level, can try their hand at this ancient sport. An introductory lesson covers bow and arrow safety and etiquette, instruction and the necessary equipment for a bullseye of a time.